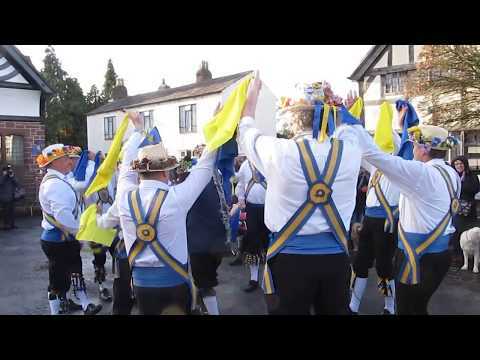 Molly Dancing is a traditional dance form originating in the East Anglian counties of Cambridgeshire and Norfolk. 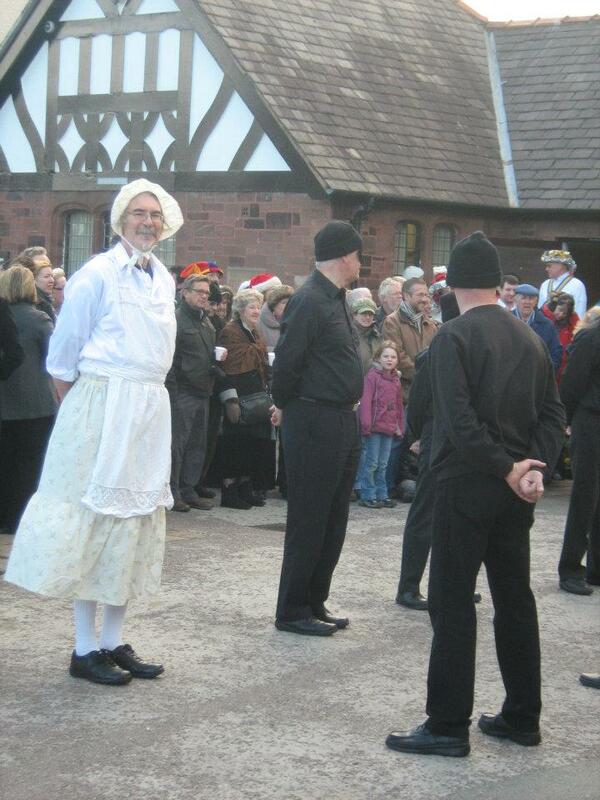 Mersey Morris Men currently have three such dances in their repertoire. 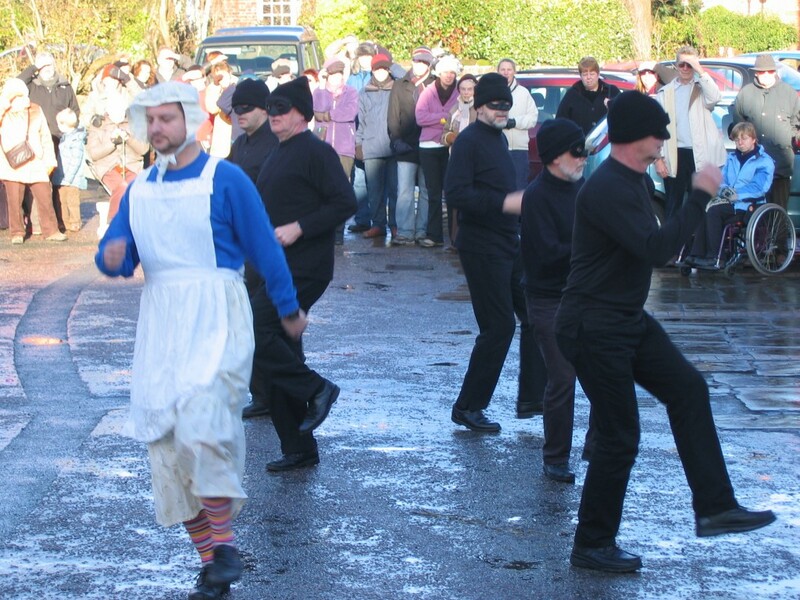 Historically, the Molly was performed by farm workers on Plough Monday (twelfth night) outside the dwellings of the more well-off householders and gentry of the local neighbourhood and was regarded as a method for the performers to earn an honest (or not!) penny during the hard times of winter when many of them would be without work in the fields. They would disguise their identities by blacking their faces and dressing in sombre clothing, except for one ‘cross-dresser’, the ‘molly’, who would help to divert attention from the other men who would use threatening and underhand tactics to extract money from their audience. 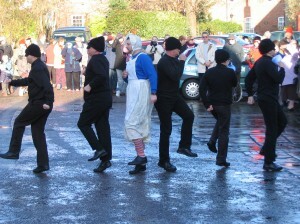 The Molly Dancers perform in the rain at Willaston green. 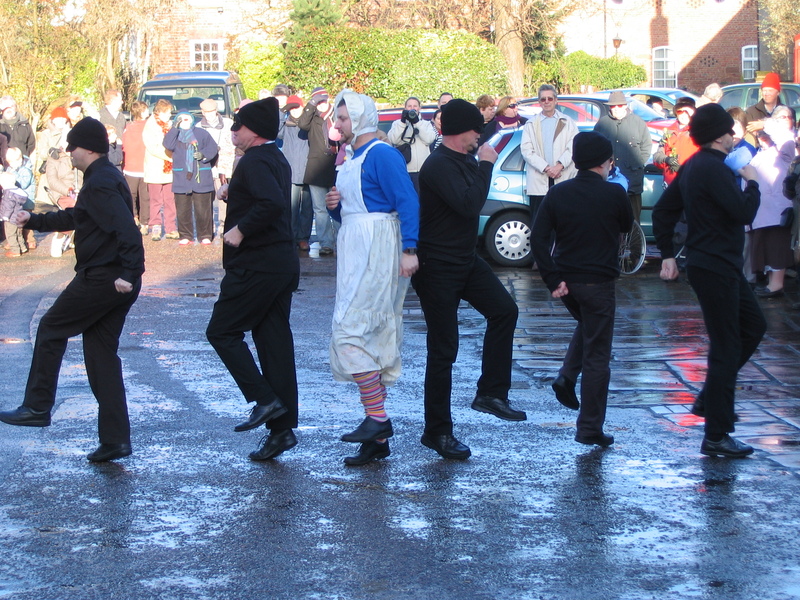 Molly Dancing was certainly not regarded with the same esteem as Cotswold Morris by the early twentieth century collectors, due to its unsavoury reputation, so comparatively little detail of the dances was recorded. The four dances performed by Mersey Morris Men were created by two superb revival Molly sides, ‘Seven Champions’ and ‘Ouse Washes Molly’. 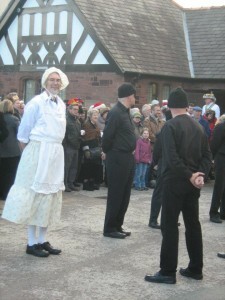 The most noticeable features of these dances, compared to the Cotswold morris dances in Mersey Morris Men’s repertoire, are the lack of bells, the more ‘earthy’ approach to the dance style, the retention of a certain amount of disguise and the abundant number of volunteers within their ranks to try a bit of cross-dressing! A change of Molly in 2011!